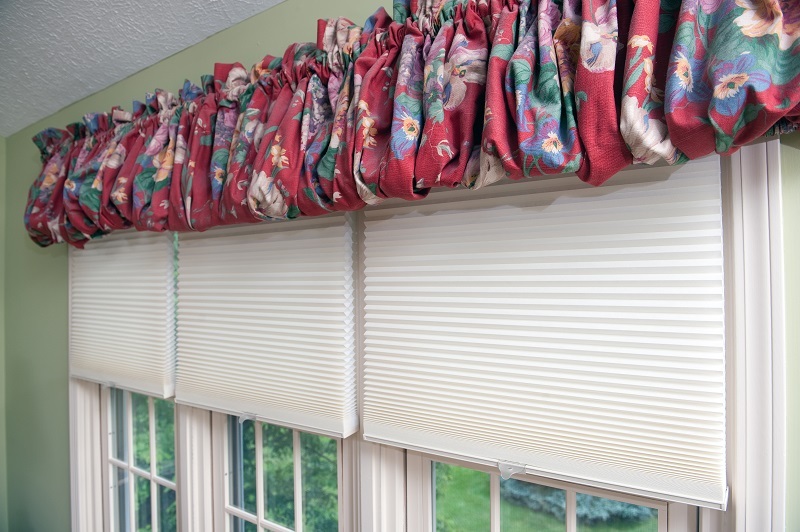 Honeycomb Shades with Balloon Valance - Sew What? Sew Anything! Great looking double cell honeycomb shades with balloon valance. What a great way for privacy and light control to cover these windows with a cordless honeycomb shade. Double cell shades help with sun and keeping the elements out of a room.